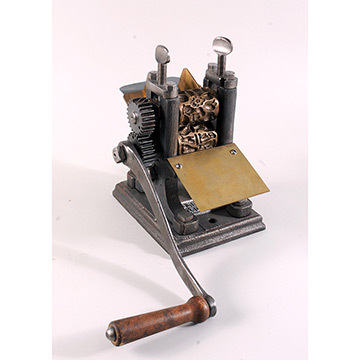 Precision devices such as this formed and cut candy rope fed through rollers. 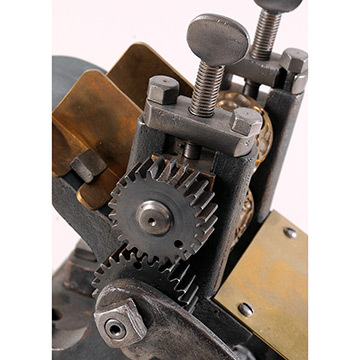 Two matching rollers, paired and locked in a gear unit, formed attractive shapes. 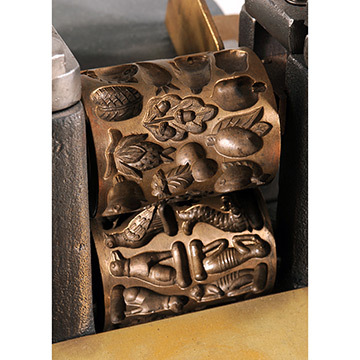 This example displays two unmatched rollers; the top roller features a variety of fruits and nuts, and the lower roller forms people and animals. 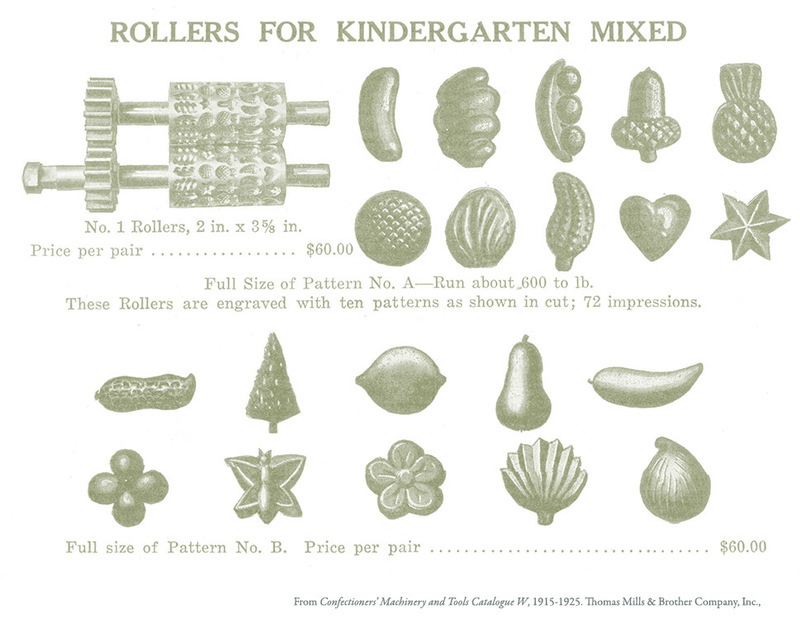 The illustrations show how different rollers made it possible to create many fruits and animals. 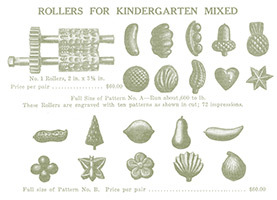 Candy makers could switch rollers to produce assorted shapes.